Netflix has a new queen. 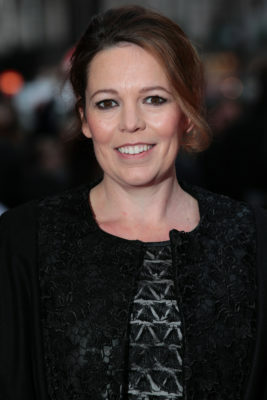 Deadline reports Olivia Colman has been cast as the new Queen Elizabeth for seasons three and four of The Crown. The historical drama chronicles the personal life of Queen Elizabeth II from her coronation in 1952 through the second half of the 20th century. The cast includes Claire Foy, Matt Smith, John Lithgow, Victoria Hamilton, Jared Harris, Vanessa Kirby, and Dame Eileen Atkins. Colman will take over the role of Queen Elizabeth from Claire Foy, who has played the British royal for two seasons. Even though Netflix has not officially renewed The Crown for seasons three and four, Colman’s casting announcement all but confirms the period drama will continue. What do you think? Are you a fan of The Crown? Are you looking forward to future seasons? I Love this show, however I think it may be a mistake to replace Ms. Foy as Queen. Love the crown and the producers have lured us in to fall in love with the characters. Huge mistake changing actors once the audience has fallen in love with the faces they make for all facets of life. It doesn’t matter how good the incoming replacements will be, they will them trying to pretend to be someone they aren’t…. We are a smart audience and want the current actors to stay and have hollywood make up age gracefully with us watching. I’m not as concerned with who plays whom as I am with the show being canceled. Please keep it coming!!! I don’t want the current actress playing the Queen to be replaced. I loved her interaction with Matt Smith. I hate the idea of another actress playing the Queen. Love The Crown…can’t wait for the new season!